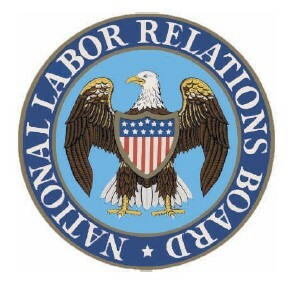 The NLRB moved to significantly expand its joint employer standard in the 2015 Browning Ferris case, in which it ruled that the mere potential that one organization could affect the terms or conditions of employment at another company, even if such authority was never exercised, was sufficient to find that two entities are joint employers with joint responsibility for all matters under the jurisdiction of the NLRB. Then, in December 2017, the NLRB—newly dominated by a Republican majority—reversed Browning Ferris and returned to the previous standard, which requires actual, rather than mere potential, exercise of control over employment terms or conditions before a joint employer finding can be made. However, that reversal was vacated in February 2018 when the NLRB ruled that one of the Board members who had participated in reversing Browning Ferris should have recused himself due to a conflict of interest. This has left the NLRB standard in limbo, which led the Board to earlier communicate that it was “considering” rulemaking. [w]ith rulemaking, ... the Board will be able to consider and apply whatever standard it ultimately adopts to selected factual scenarios in the final rule itself. In this way, rulemaking on the joint-employer standard will enable the Board to provide unions and employers greater “certainty beforehand as to when [they] may proceed to reach decisions without fear of later evaluations labeling [their] conduct an unfair labor practice,” (as the Supreme Court has instructed us to do). *** In addition, whereas standards adopted through case adjudication may apply either retroactively or prospectively, final rules issued through notice-and-comment rulemaking are required by law to apply prospectively only. Thus, by establishing the standard for determining joint-employer status through rulemaking, the Board immediately frees its stakeholders from any concern that actions they take today may wind up being evaluated under a new legal standard announced months or years from now. The rulemaking process is likely to take several months. Employers should be mindful that the Browning Ferris standard remains in force in the meantime and should exercise caution accordingly.